Uninor launched a special ‘Yuva Pack’ created exclusively for the students and youth of Mumbai. With a focus on what youth the Yuva Pack’s tariff plan seeks to give greater value for money and more benefits for just Rs. 80. each month. The ‘Yuva Pack’ bundles the basic communication package of talk-time, SMS and Internet that caters to today’s youth. Besides a call rate of 2 paisa/ minute from Uninor-to-Uninor, one of the cheapest on net calling rates, this youth plan gives youth the unprecedented benefit of 6000 local & national SMS to any operator along with 1GB of free GPRS usage. 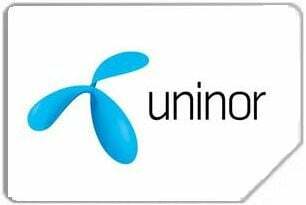 Uninor is not charging for customer care. Today i called up 121 and spoke with executive but no amount was deducted. What about other circles, are they charging? Yes they are charging here from 9th.